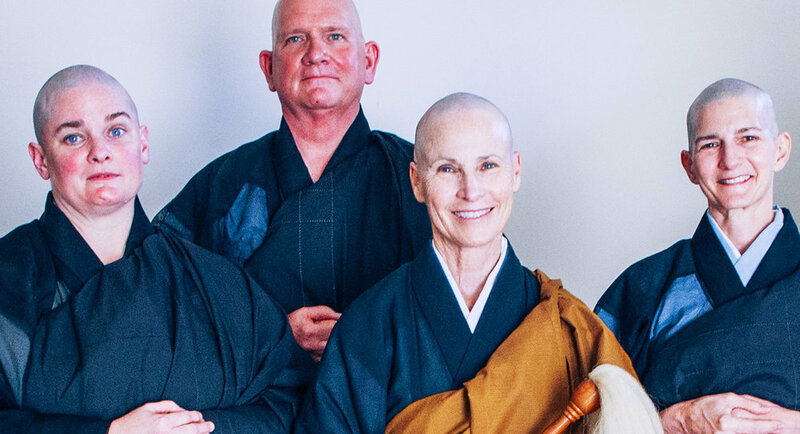 Zen Center is pleased to announce the ordination of Rev. Zengetsu Vicki Glenn and Rev. Sengetsu Tricia McFarlin by Abbot Gaelyn Godwin on Sunday, June 10. Many friends and family members celebrated this auspicious event. The new priests will continue to serve the sangha in countless ways.